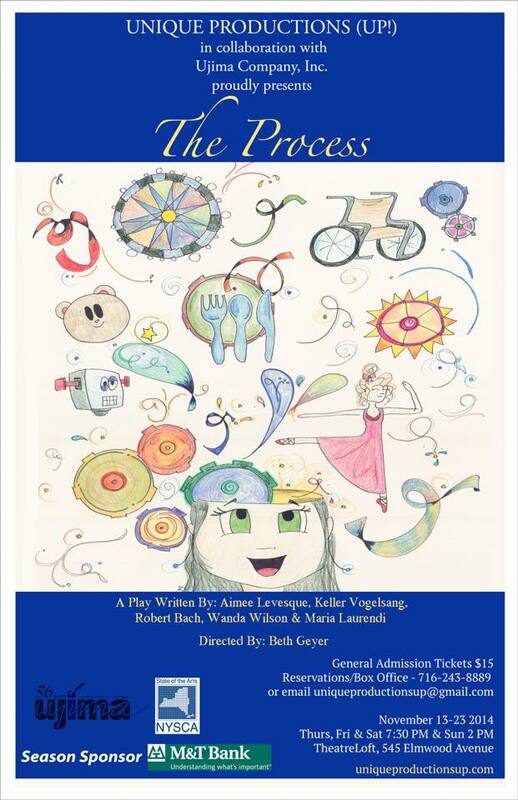 The Process Showtimes – Only 7 Shows Left!! Thanks to everyone who came out to support UP! at our Opening Night performance of The Process! The cast and crew had an amazing time and they cannot wait to hit the stage again! There are 7 shows remaining!! We hope you will join us at one (or all!) of the performances!! Tickets may be reserved via email at uniqueproductionsup@gmail.com or by calling 716.243.8889.